My office hours is Tuesday 4-5 PM and Wed 3-4PM, at 244 Gates Hall , Or by appointment. I am looking for students (both undergrad and graduate) who are interested in Ubicomp research (building sensing systems that address real-world challenges), with a strong background in electrical engineering or computer science to join my research group in the fall. Feel free to drop me an email if you are interested. C heng Zhang is an Assistant Professor in Computing and Information Science at Cornell University. He received his Ph.D. in computer science at Ubicomp Lab at the Georgia Institute of Technology, where he was advised by Dr. Gregory Abowd (CS) and Dr.Omer Inan(ECE). His research interests are ubiquitous computing and human-computer interaction(HCI). More specifically, his research examines how to solicit information on and around the human body to address real-world challenges in various application areas, such as interaction, health sensing, and activity recognition. His Ph.D. thesis presents over 10 different novel input techniques for wearables, some leveraging commodity devices while others incorporate new hardware. He usually builds sensing systems from the bottom to the top, including understanding the physical phenomenon, building hardware prototypes, designing form factors, processing data, and designing algorithms (machine learning or physics-based modeling). His work has resulted in over a dozen publications in top-tier conferences and journals in the field of Human-Computer Interaction and Ubiquitous Computing (including two best paper awards), as well as over 8 pending U.S. and international patents. His work also has attracted the attention of various media outlets, including ScienceDaily, DigitalTrends, ZDNet, New Scientist, RT, TechRadar, Phys.org, Yahoo News, Business Insider, and MSN News. He is also an alumnus of The Technological Innovation: Generating Economic Results (TI:GER) program, which is a joint program held between the Business School at Georgia Tech and the Law School at Emory University. This program taught him how to commercialize new technology and present innovative products to the market. The work that leverages commodity devices has resulted in commercial impact, including licensing the watch input technology to Canadian startup ProximityHCI to improve the smartwatch interaction experience. 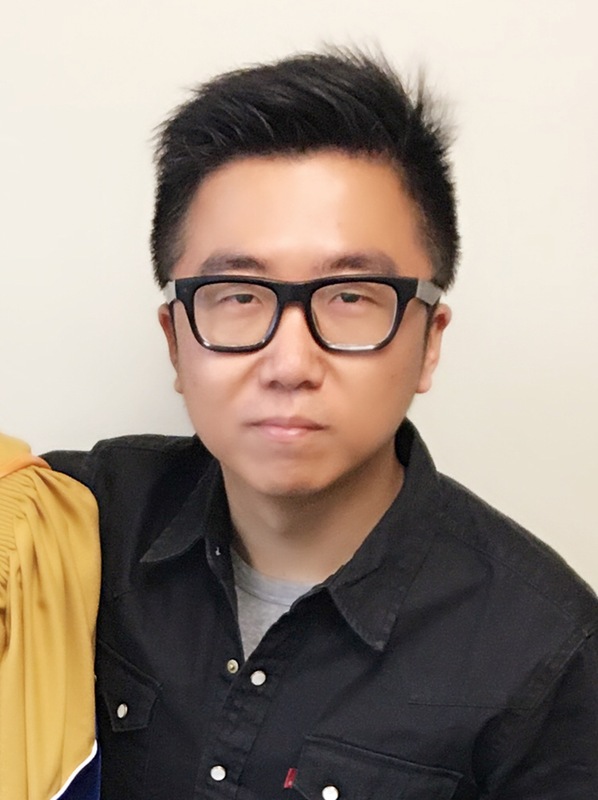 Before coming to Georgia Tech, he received his bachelor’s degree in software engineering from Nankai University and his master’s degree from the Institute of Software at the Chinese Academy of Sciences as an outstanding graduate, where he started his curiosity on HCI and acquired his first-hand research experience across tangible user interface, HCI for children, music interface. He is an enthusiastic sports fan and enjoys running in spare time. His first half-marathon was completed within two hours on Nov. 26, 2015 in Atlanta Thanksgiving Half Marathon. 04/01/19 Ph.D. thesis won College of Computing Dissertation Award at Georgia Tech. 10/25/18 Ph.D. thesis is nominated by Georgia Tech for ACM Dissertation Award. 04/19/18 Received outstanding graduate research assistant award from the College of Computing at Georgia Tech for the year of 2017-18. 03/12/18 Successfully defended my Ph.D. thesis. 03/09/18 Accepted to be a session chair at CHI’18. 01/23/18 Interviewed by The American Society of Mechanical Engineers (ASME) for ring-based input tech. 12/25/17 FingerPing (FingerSonar) was accepted to CHI’18 . 10/06/17 Talk @Google ‘Novel gestures for wearables’. 09/10/17 Four Papers and three talks at Ubicomp/ISWC’17 . 03/20/17 Program Committee for workshop on object recognition for input and mobile interaction on MobileHCI’17. 01/19/17 Serve as one of the student volunteer chairs on Ubicomp’17.